Kristi & Michael were wed at Palmetto Bluff in Bluffton, S.C. (just outside Savannah) on June 12, 2011. There are lot of high-profile, celebrity weddings here in this part of the South; but on this auspicious day, the brightest shining stars were this happy couple. Don’t y’all love how Kristi is absolutely glowing with bridal bliss? Her portrait by husband and wife photography team Philip & Eileen Blume is stunning! Michael embraces Kristi, his joyful new wife. 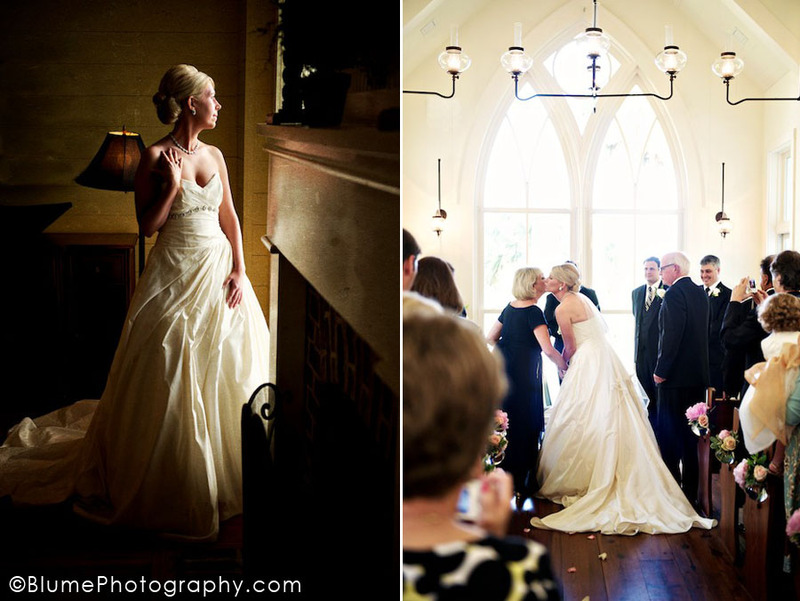 The gorgeous bride on her wedding day in South Carolina.